Some of the best paid professionals in the country are doctors. While doctors have to go to school for years, they end up earning more money than most professionals after graduation. Unfortunately, many primary care givers and general practitioners have seen their salaries go down. More lucrative professions in the industry include working as a surgeon or some type of specialist. The following 15 medical specialties are the best paid in health care. The pay rates were originally sourced from Medscape’s 2015 report, so the numbers may have changed since that time. 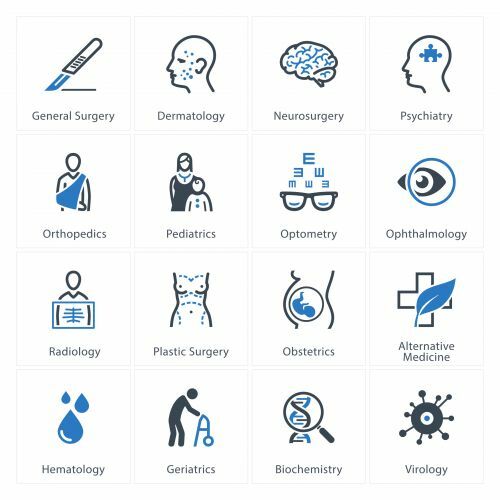 Many of these medical professions are specialty areas, so they typically require advanced training after a basic medical school degree. Orthopedists earn at average salary of $421,000 per year. This type of medical professional treats muscoskeletal disorders and conditions. Known commonly as a bone doctor, they help with conditions that affect the tendons, skin, joints, nerves, muscles and ligaments. In addition, orthopedists help fix bone abnormalities. This may be done through braces, casts or surgeries. To become an orthopedist, students must go through many years of training. Cardiologists earn an average salary of $376,000. These doctors are commonly known as heart surgeons, although they do far more than just surgery. If you have a heart-related medical condition or disease, you will most likely have to go to a cardiologist. Once there, the cardiologist can treat the patient with non-invasive or invasive treatment options. A non-invasive treatment is often used for congenital heart complications, but it may also be used for conditions like coronary artery disease or heart failure. Invasive techniques may involve surgery or diagnostic procedures. Like the last medical profession on the list, you would need to study for additional years to become a professional in this field. A gastroenterologist earns an average salary of $370,000 per year. As such, it is one of the highest paid medical specialties. Gastroenterology involves all illnesses and conditions related to the digestive system. In addition to diagnosing and treating these illnesses, a gastroenterologist will work to prevent digestive problems from happening. Gastroenterologists work to figure out optimal nutritional use and how food moves through the digestive system. 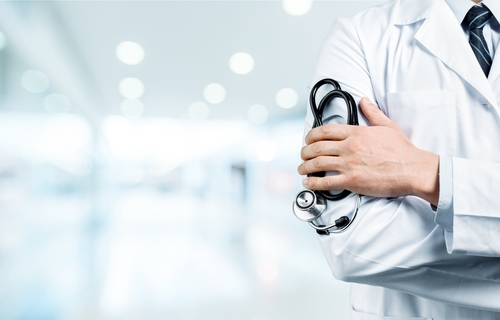 Often, these physicians work in a private clinic and patients are often referred to them when the general practitioner cannot find the cause of the illness. An anesthesiologist earns an average wage of $358,000 per year. Their job is to help reduce the pain that patients experience during, before and after surgery. They are highly trained to ensure the safety of patients during surgery. Depending on the procedure, the patient may be given a regional or general anesthesia. Throughout the process, the anesthesiologist must analyze the patients condition and state of health to make sure that they receive the right care. Anesthesiologists are especially known for handling acute postoperative pain and medical ailments like blood transfusion therapy, cancer pain and respiratory therapy. A plastic surgeon makes an average salary of $354,000. Plastic surgeons receive a lot of attention in the media because of their ability to change the patient’s appearance through different procedures. While some of these surgeries may be elective and purely cosmetic, plastic surgeons are also important for correcting physical deformities from cancer and trauma. They help to perform tissue reconstruction and repair the body from ailments like trauma, congenital deformities and burns. A radiologist earns an average salary of $351,000 per year. They are a type of doctor who specializes in using radiological techniques to treat and diagnose different conditions. Images are used from methods like nuclear radiology, interventional procedures, ultrasounds, magnetic resonance and computed tomography. As the technology behind these diagnostic tests have improved in the last few decades, the specialty has become increasingly in demand. A urologist makes an average salary of $344,00 per year. They are responsible for treating and diagnosing conditions involving the genitourinary organs and tract. These conditions often involve the urinary tract, the urinary bladder, the prostate, the kidneys and the urethra. A dermatologist makes an average salary of $339,000 per year. They are colloquially known as a skin doctor. It is the dermatologists job to diagnose, treat and prevent any condition that can affect the skin. They are often called upon to help treat disorders like moles, skin cancer, contact dermatitis, allergy disorders, melanomas and acne. To succeed in this position, the dermatologist must be specially trained to treat and recognize skin conditions of all sorts. These conditions may be infections, degenerative, immunologic or neo-plastic. Once the condition is diagnosed, the dermatologist may use surgery, medication, cosmetic procedures or medical therapies to treat the problem. A general surgeon makes an average salary of $317,000 per year. Their job is to perform surgeries on body parts like the bowels, stomach, colon and esophagus. The general surgeon must also take care of their patient before, during and after the surgery. As a whole, this is one of the most in demand medical specialties, which is one of the reasons that it is one of the highest paid medical specialties. Emergency physicians make an average annual salary of $306,000. This medical field focuses on treating acute injuries and conditions. Emergency physicians are often given just limited information about the patient and must make a diagnose under pressure. They often work in challenging, fast-paced environments to make initial assessments in emergency cases. They may have to perform initial resuscitation and surgeries at a moment’s notice to ensure the health of their patient. An oncologist earns an average wage of $302,000 per year. They typically treat blood-related diseases and cancers. They must be highly trained in order to diagnose, treat and prevent these illnesses. As the average age of the population increases, oncologists will only become more in demand. Among other things, an oncologist helps to care for cancer patients by treating them, providing palliative care and improving their overall quality of life. A pulmonologist earns a yearly salary of $296,000 per year. As the name suggests, they focus on pulmonary diseases. This medical term basically means diseases and conditions related to the lungs. Pulmonologists diagnosis and treat lung conditions like cancer and chronic obstructive pulmonary disease. Only a small percentage of doctors choose this specialty, so this field is in high demand. An ophthalmologist earns an estimated $292,000 per year. Their job is to diagnoses and treat a variety of acute and chronic eye conditions. They may also be involved in treating medical conditions like macular degeneration, neurological conditions, diabetic retinopathy and intra-ocular inflammation. In addition, they may perform surgery like cataract, oculo-plastic and glaucoma surgery. If a cornea transplant is needed, it is up to the ophthalmologist to perform it. They may specialize in smaller areas of ophthalmology. A critical care physician is responsible for treating a wide array of diseases. Often, critical care specialists are the first providers for critically ill patients. They can diagnose a wide variety of diseases and treat them as needed. In some cases, the critical care physician is responsible for helping patients make end-of-life decisions. A pathologist is one of the highest paid medical specialties in the country. They earn an average of $267,000 per year. 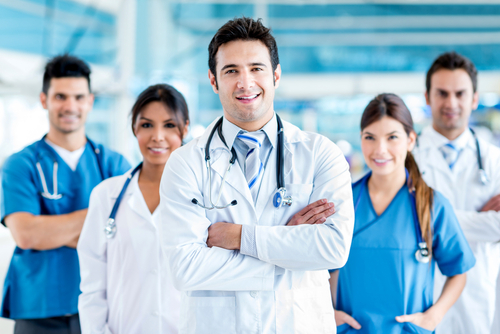 These physicians are responsible for taking care of blood and other laboratory tests. They must identify parasites, fungi, bacteria and viruses to help physicians diagnose and treat different medical conditions.